As we sit in the midst of the second “snowpocalypse” of the month down here in Southeast Texas, we fully admit that we are longing…nay, silently pleading…to the weather gods for the sunshine-filled, seventy five degree days of Spring. And while everyone loves a good winter warmer or Christmas ale, we bet we can all collectively agree that our taste buds are ready for us to change it up a bit. The solution to our winter woes? Saint Arnold Spring Bock, on shelves now. This authentic, German-style Bock from the great folks at Saint Arnold is big, deeply flavored and aged slowly to create its smooth, malty taste with a hint of sweetness. The brewers used five different types of specialty malts during the brewing process – all malted barley (no other grains or cereals such as corn or rice) and all imported from Belgium. They also used two central European noble hop varieties in this beer: Czech Saaz and Hallertauer. 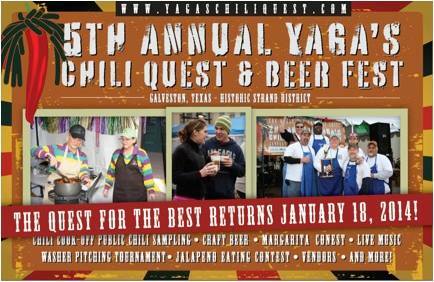 The beer debuted in February of 1998 and that same year it won a silver medal in the Traditional Bock category at the World Beer Cup. Not bad for a first-time brew, eh? Contrary to a popularly-held belief, there is no truth to bock being what you get when you clean out the brewkettle or anything of the like. This brew is made from an original recipe and follows the German guidelines defining a traditional bock; it must be brewed to a high starting gravity and thus to a high alcohol content. If you’re looking for a little respite from all this cold and cruddy weather, we suggest you pick up some Saint Arnold Spring Bock tonight and pretend you’re sipping it on a patio some place, somewhere in April. We’re firm believers that a little imagination can go a long way. Cheers to brighter days ahead, Pint Jockeys! Stay warm and safe today and we’ll see you back on the blog next week. 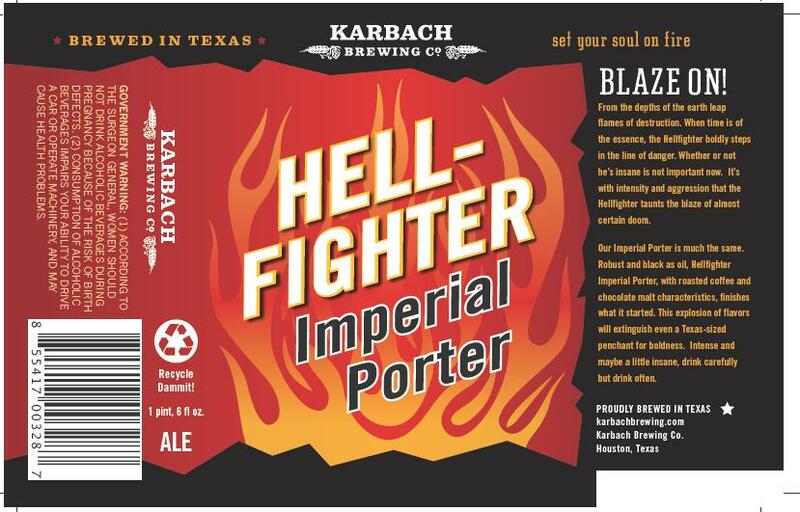 Karbach Hellfighter is on shelves NOW! When it comes to intense and robust beers, we think we can all agree that Karbach Brewing Co. REALLY knows what they’re doing. Case in point – “Hellfighter,” an Imperial Porter available in 22 oz. bomber bottles and on draft. According to the folks at Karbach, “If you like darker, more robust ales and you also have a penchant for whiskey, you may have just reached the promised land.” This seriously dark brew (dark as an oil slick we tell ya) is full of coffee and chocolate flavors and a 9.8 % ABV content. Anything but a thin Porter, this ale is chalk full of robust, roasted malts and dense darkness and a lingering bourbon flavor that is definitive, but subtle enough to not overpower the other complex flavors. It pours a gorgeous dark brown hue with a dark khaki head that leaves behind a nice amount of lacing. You’ll notice an underlying hop presence throughout as you sip it down. The brewers recommend pairing this devilishly good stuff with hearty foods, decadent desserts or that special cigar you’ve been holding on to for quite some time. While best served in a snifter-style glass at 45 to 50*F, this brew can also be saved for years via proper cellaring conditions for a rainy day – if you can resist the temptation to open the bottle as soon as possible. 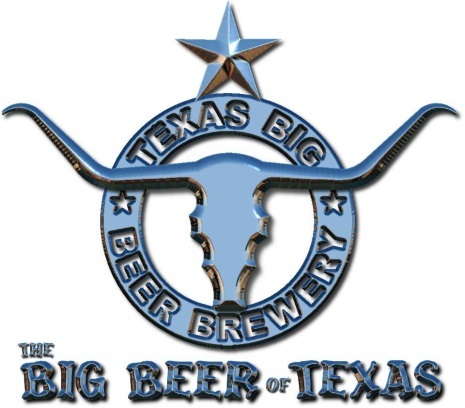 This beer is a must-try if you’re a fan of Texas-sized boldness and a strong finish – it’ll impress the hell out of you.